I come from a traditional Southern family. Both of my parents were born and raised in small North Carolina towns. I was born near my dad’s hometown and raised in Atlanta. In 2006, my dad’s job moved us above the Mason-Dixon Line to the Philadelphia suburbs. It’s a different world up there, but my family keeps our Southern traditions alive year-round. My favorite of these traditions come at Christmas time. Decorations go up the first weekend of December following my birthday at the end of November. 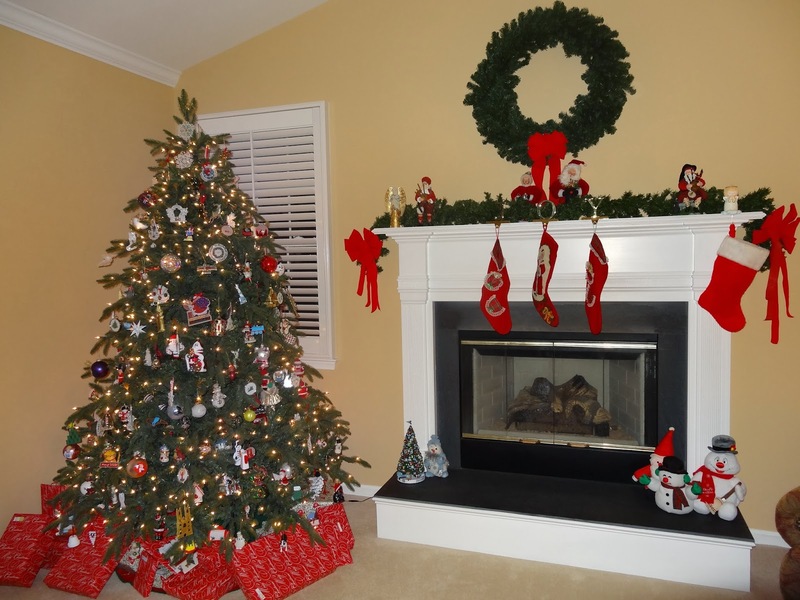 I gladly participate in weaving garlands on the banisters and hanging my favorite ornaments on our (artificial, pre-lit) tree. We have collected Lennox ornaments my whole life, and those always look prettiest on our tree. Decorating is made even more enjoyable with our favorite Christmas music playing in the background. Guests are greeted at our front walkway by cutout Mr. and Mrs. Claus, a light-up Frosty the Snowman, and a light-up polar bear we affectionately call Cola Bear. Another favorite pastime at my house is the Christmas baking. My mom used to bake for my dad’s office parties at work, and now we share our holiday treats with friends and family. Peanut butter balls, amaretto truffles, forgotten cookies and sausage balls are essential items, along with chocolate chip and sugar cookies. This year, I added cake balls to the mix. It’s the closest I can get to homemade petit fours, which are my mom’s favorite sweet treat. Every year, we host a Christmas Eve gathering with heavy hors d’oeuvres and coffee before everyone goes to church. It’s not a real dinner, but we always have enough food that you could make it dinner if you’re really hungry. There’s no such thing as “too much food” at a Southern household, especially during the holidays. 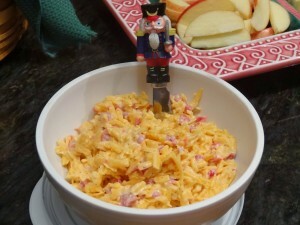 My mom’s pimiento cheese is always a hit. The Nutcracker spreader agrees. Our menu ranges from meatballs and ham biscuits to fruit and cheese, and all kinds of dips and spreads. My mom’s Texas caviar is a favorite among our friends; it is probably the most often requested item from our Northern friends. I love snacking on apples and baked Brie with jam, but I will never turn down a healthy helping of pimiento cheese atop Ritz crackers. When our stomachs are full of delicious food, we sip on coffee until it’s time for candlelight church. We finish the night off with the A Christmas Story marathon on TBS. On Christmas morning, we celebrate Baby Jesus with coffee and cinnamon rolls before we pack up and hit the road to see family in Charlotte. And this year, I plan to bring in 2014 with some Hokie football in the Sun Bowl. Happy New Year, and Go Hokies! 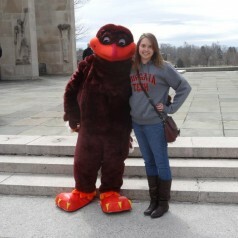 Kate Robertson is a features writer for Pretty Southern, and a senior at Virginia Tech, studying communication and English. Originally form Atlanta, Kate plans to graduate in 2014 to launch a professional career in writing and public relations. Follow her on Twitter @kate3robertson. 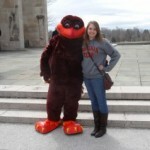 Click here to read her column “Love VT”.